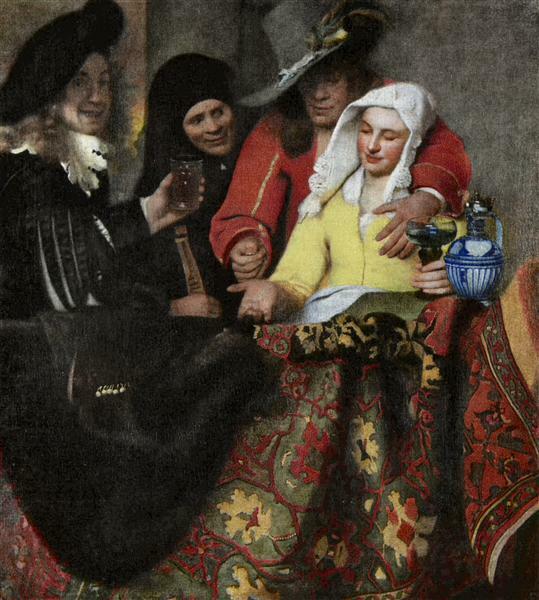 The Procuress is a 1656 oil-on-canvas painting by the 24-year-old Johannes Vermeer. It can be seen in the Gemäldegalerie Alte Meister in Dresden. It is his first genre painting and shows a scene of contemporary life, an image of mercenary love perhaps in a brothel. It differs from his earlier biblical and mythological scenes. 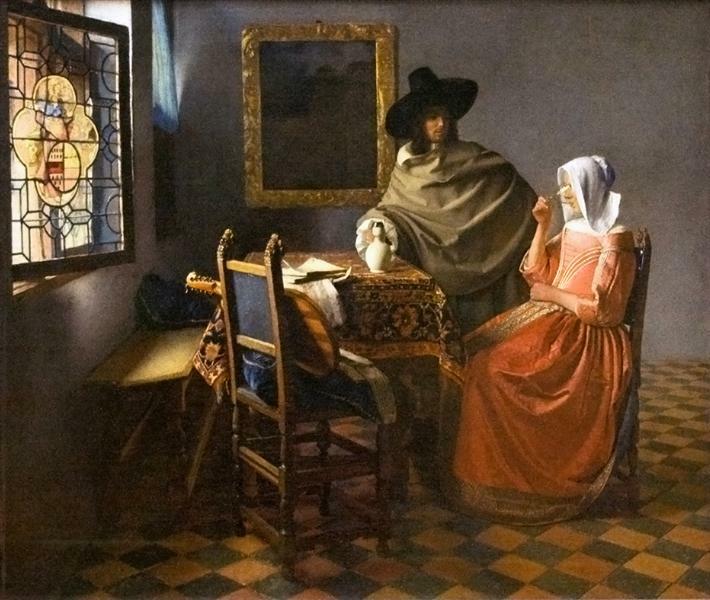 It is one of only three paintings Vermeer signed and dated (the other two are The Astronomer and The Geographer). It seems Vermeer was influenced by earlier works on the same subject by Gerard ter Borch, and The Procuress (c. 1622) by Dirck van Baburen, which was owned by Vermeer's mother-in-law Maria Thins and hung in her home. The woman in black, the leering coupler, "in a nun's costume", could be the eponymous procuress, while the man to her right, "wearing a black beret and a doublet with slashed sleeves", has been identified as a self portrait of the artist. 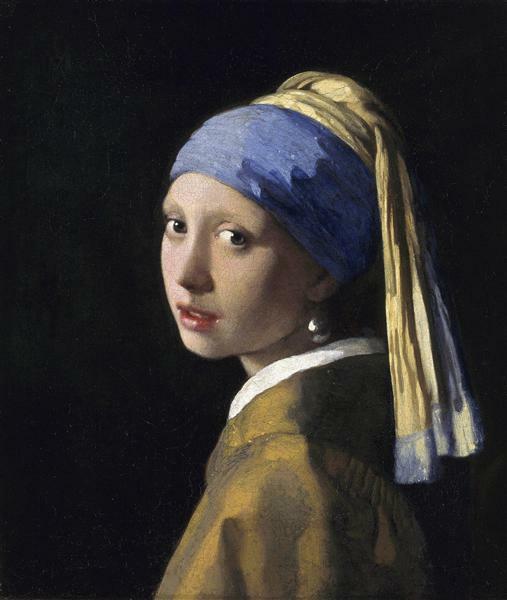 There is a resemblance with the painter in Vermeer's The Art of Painting. The man, a soldier, in the red jacket is fondling her breast and dropping a coin into the young woman's outstretched hand. According to Benjamin Binstock the painting could be understood as a psychological portrait of his adopted family. 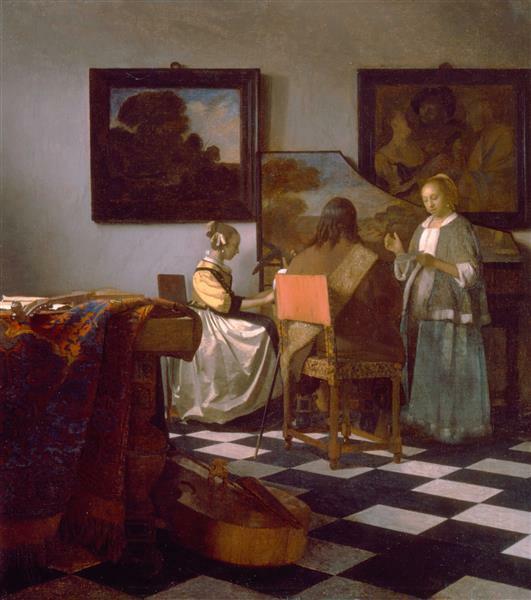 Vermeer is in the painting as a musician, in the employ of the madam. In his rather fictional book Binstock explains Vermeer used his family as models; the whore could be Vermeer's wife Catherina and the lewd soldier her brother Willem. The three-dimensional jug on the oriental rug is a piece of Westerwald Pottery. The kelim thrown over a bannister, probably produced in Uşak, covers a third of the painting and showes medaillons and leaves. The instrument is probably a cittern. The dark coat with five buttons was added by Vermeer in a later stage. In 1696 the painting, being sold on an auction in Amsterdam, was named "A merry company in a room". According to Binstock this "dark and gloomy" painting does not represent a didactic message. 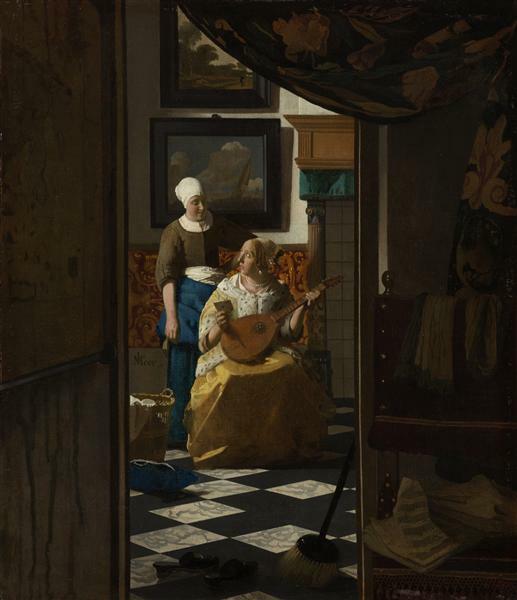 Some critics have thought the painting is atypical of Vermeer's style and expression, because it lacks the typical light. The painting was in the Waldstein collection in Dux (now Duchcov), then bought in 1741 for August III of Poland, the Elector of Saxony. The painting was exhibited in 1980 at the Restaurierte Kunstwerke in der Deutschen Demokratischen Republic exhibit in the Staatliche Museen zu Berlin, Altes Museum. The technical investigation of this painting was done in 1968 by Hermann Kühn. 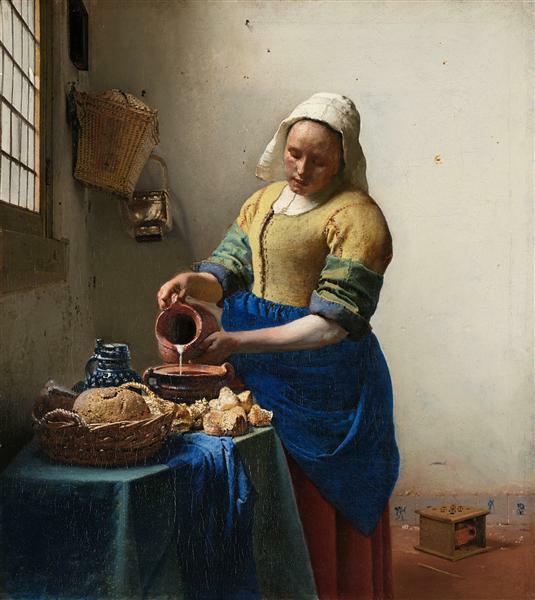 The pigment analysis revealed Vermeer's use of his usual pigments such as ultramarine in the blue wine jug and lead-tin-yellow in the jacket of the woman. He employed also smalt in the green parts of the tablecloth and in the greenish background which is less usual for him.